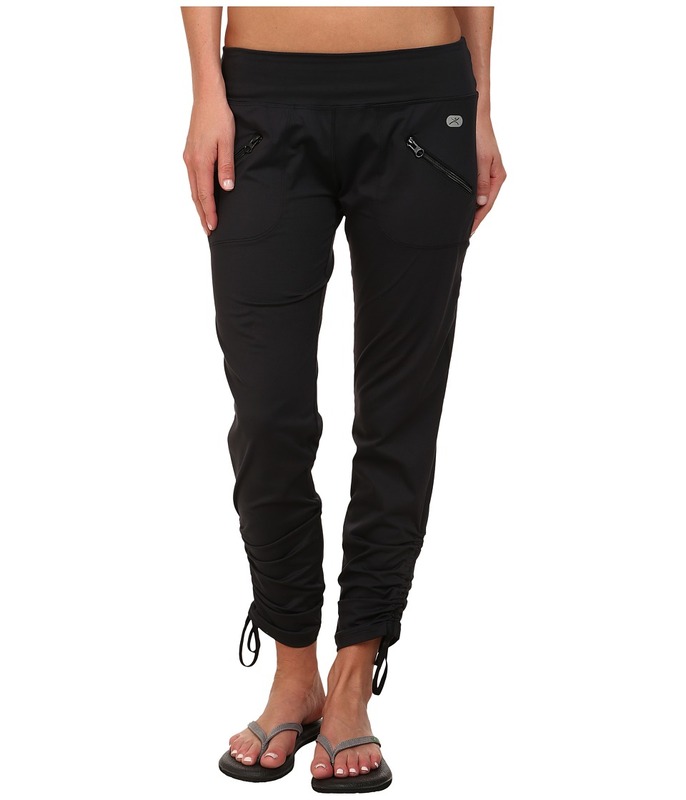 The Reflex Get Up Go Pants are easy, throw-on pants that take you from warm-up to cool-down. Reflex fabric: &amp#8226 Fine denier, 360&amp#176 stretch offers full range of motion. &amp#8226 Moisture-wicking, quick-dry performance. &amp#8226 Resilient stretch offers a high degree of recovery. &amp#8226 UPF 50+ sun protection from harmful UVA and UVB radiation. Flatlock seams reduce unwanted friction. Pants feature a slim fit that tapers to the drawstring cuffs. Wide, flat elastic waist with breathable mesh lining. Zip hand pockets. Logo print set at the left hip. 52 percent polyester, 30 percent nylon, 18 percent elastane. Machine wash and tumble dry. Imported. Measurements: Outseam: 37 in Inseam: 30 in Front Rise: 9 in Back Rise: 13 in Leg Opening: 11 in Product measurements were taken using size SM, inseam 30. Please note that measurements may vary by size.